We propose a planarization algorithm for clustered graphs and experimentally test its efficiency and effectiveness. Further, we integrate our planarization strategy into a complete topology-shape-metrics algorithm for drawing clustered graphs in the orthogonal drawing convention. AGD. A library of algorithms for graph drawing. Online. http://www.mpi-sb.mpg.de/AGD/. GDToolkit. 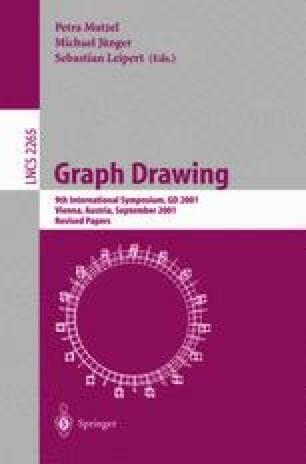 Graph drawing toolkit. Online. http://www.dia.uniroma3.it/?gdt.